At 0333 hours, Box 1-5 sent Harrisburg Squad 8, Wagon 4, Towers 1, 2, and Captain 3 to 1239 Rolleston Street for a possible house fire. Responding companies were advised of multiple calls being received and all occupants reported to be out. Squad 8 arrived on location with a 2 story, middle of the row, with fire from the basement. A first alarm assignment was requested bringing Wagon 3, Rescue 69, and Air 13 to the scene. 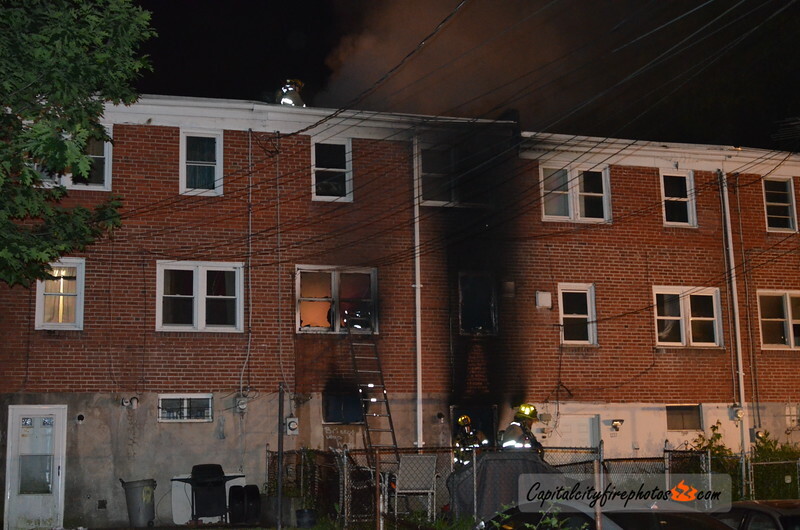 3 hand lines were stretched and operated knocking down a basement fire with some extension to the first floor. The fire was placed under control in about an hour with no injuries reported.